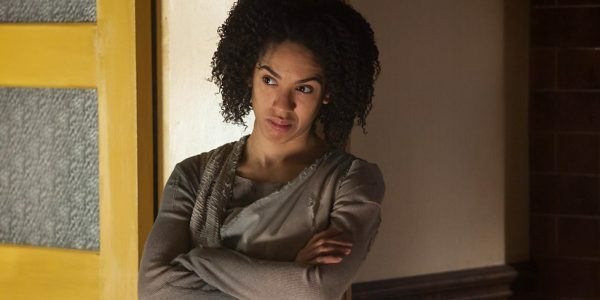 "World Enough and Time," Part 1 of Doctor Who's season 10 finale, is the perfect example of how a show's marketing can severely undermine its storytelling. 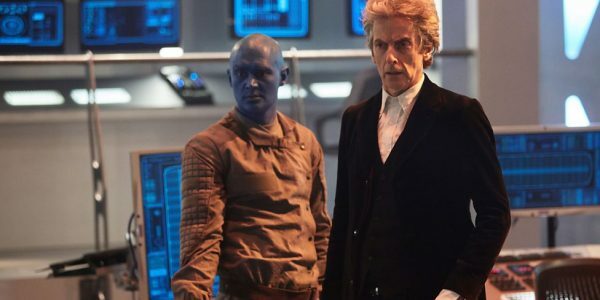 The Doctor decides to test Missy, letting her take Bill and Nardole on an adventure. The alternative TARDIS trio arrives on a gigantic colony space ship trying to escape from the gravitation pull of a black hole. Things quickly go horribly wrong and The Doctor is forced to intervene. Most of "World Enough and Time" is devoted to building up two major reveals that were both given away by trailers and promotional material for the show months ago. Unless you've carefully and deliberately avoided everything outside of the episodes themselves, you probably already knew that a) John Simm's Master is returning and b) the Mondasian Cybermen will be making an appearance. As a result, through no fault of its own, "World Enough and Time" ends up feeling like a waste of time. It sets up a really interesting scenario for the final episode, but doesn't hit nearly as hard as it could have. The John Simm reveal suffers the most from foreknowledge, since no amount of makeup and silly accents can conceal the fact that the character Bill meets on the opposite end of the ship is in fact The Master. Had we not known Simm would be in the episode, the disguise might have fooled us, but since we do, it's hilariously transparent. The scene where John Simm takes off his disguise to dramatically reveal he was John Simm all along was just embarrassing, which I'm fairly sure isn't the effect they were going for. The Mondasian Cybermen fare a lot better, as the slow-burn approach actually allows the episode to build a rather creepy atmosphere around them. It's a testament to Moffat's skills as a writer and the direction of the episode that something as silly looking as classic Who Cybermen can be made to look and sound positively sinister and nightmare inducing. A lot of the episode is exposition driven, which is a bit of problem when the audience is a few steps ahead of the reveals. The Interstellar-like black hole scenario is neat, but the episode doesn't really do anything with the fact that Bill ends up spending year separated from The Doctor and friends. It is important for the purposes of the plot that time has passed, but the characters don't really seem to change - "The Girl Who Waited" and "The Doctor's Wife" are great examples of the show using similar time skips for unexpected and interesting character development. A scene early on where The Doctor tries to explain his friendship with The Master to Bill gives the episode some much needed character focus and finally expands on the relationship between the two Time Lords beyond just repeating "We're friends," which this season has done a lot. 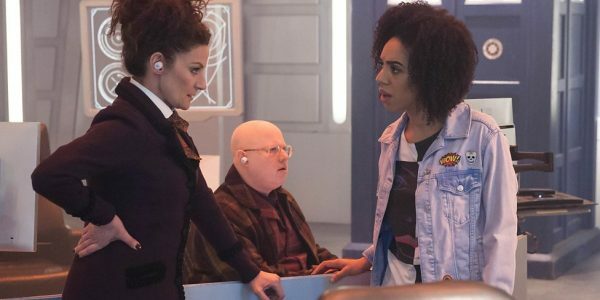 With Missy now a part of the team and the introduction of new characters to keep track of, Nardole once gets relegated to being the comic relief and even then, he's barely in the episode. The direction Bill's storyline takes is a bit boring and feels like it's retreading familiar ground for the show. 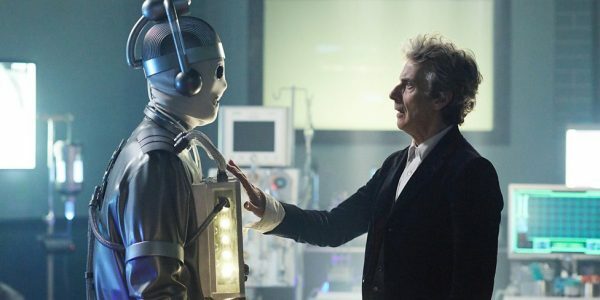 Both a companion dying and a companion being turned into a Cyberman is something we've already seen in the Capaldi era, plus here it feels like it's done more for shock value than to further anyone's character. It remains to be seen how this will be resolved in the finale, but of all the hanging plot threads, Bill's ultimate fate is the least interesting - which definitely should not be the case. Had the marketing not blatantly given away the major reveals that define 'World Enough and Time', the episode still would have had issues that would keep it from being great - but at least it would have had more of an impact. As it stands, it's an OK episode that sets up what will hopefully be an epic season finale.